Advanced Analog Technology, Inc. was established in 1999 by a group of Taiwanese graduates from the U.S. That was the initial development state of analog IC design industry in Taiwan. As Taiwan had complete upstream and downstream industries, including wafer manufacturers and testing institutions, it offered a great development environment at that time. There was a huge demand for analog ICs from all kinds of system manufacturers, but there was no local analog IC product. The founders decided to build Taiwan's analog technology and created a place for future talents of the infant analog IC design industry to contribute their abilities. Since it first started, the Company has always been emphasizing new products, such as high-end power management ICs for LCDs and GPS systems. Moving ahead with constant endeavour in new technologies, Advanced Analog Technology, Inc. will continue to explore new horizons and further develop its own precious technology R&D abilities to exhibit the unique excellence in quality and price of Taiwanese power management products in the world market. Advanced Analog Technology, Inc. has been focusing on corporate culture development since it was established. 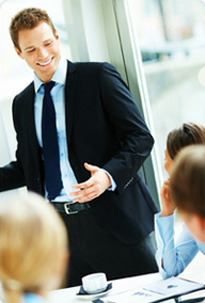 The Company promotes continuous self-learning and training for its employees. Internal technological exchanges are organized from time to time to encourage employees to learn from one another. To work in an open, sharing and supportive environment is a learning experience by itself. We believe in advancing technology sources for humanity. Design upgrade has to satisfy the self-improvement needs of the designers but not blindly follow current technologies and hot products. We develop products to cater to current market needs with steady advancement and corporate service spirits while keeping the academic vision of the next generation of technology in mind.